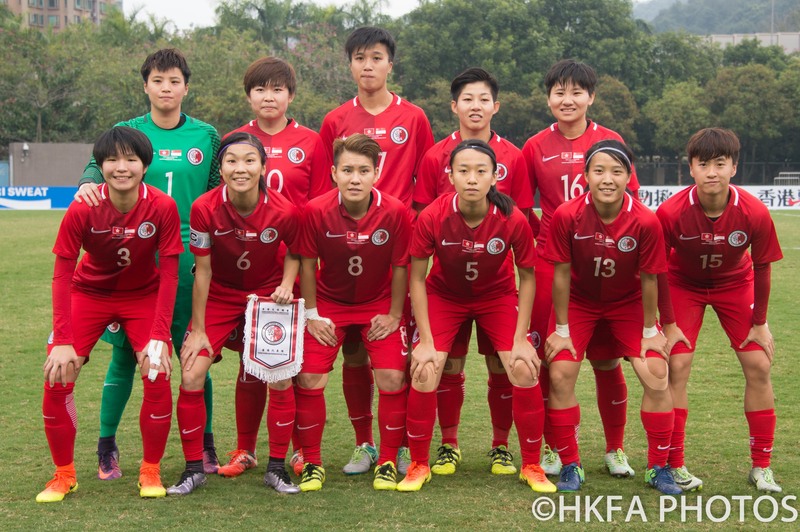 The Hong Kong Women’s Senior team beat Singapore yesterday in an international friendly match at Tseung Kwan O Sports Ground. The 2-0 winning score line does not reflect the brilliance and dominance of the Hong Kong team. I am serious when I say that it was one of the best team performances I have seen in my time in Hong Kong. If it hadn’t been for the athleticism of their goal keeper, the woodwork and a dubious off-side decision the score would have been at least 5-0, and it would have been deserved. From start to finish the Hong Kong team played with composure, skill and confidence. The passing was accurate, the movement off the ball excellent and the style of system of play consistent and effective. As well as the great teamwork, what impressed me most is the level of improvement in both individual skill and the physical fitness of the players. It is clear that there has been a lot of work done. I am so pleased that the passion and hard commitment has paid off. I told the coaches and players after the match that they should be proud of themselves. Hong Kong should be proud too. There was a good crowd to witness the match which was fantastic and I could tell from the reaction that they were as impressed as I was. The support for women’s football in Hong Kong is getting stronger all the time. The HKFA is committed to girls and women’s football and I personally think it is equally important to boys and men’s football. There is huge potential here and although we are starting from a low base, our Women’s Football Manager, Betty and Head Coach, Chi together with the other coaches and the players have done a brilliant job in developing both the grass roots and high performance football. In the past girls and women’s football in Hong Kong has not really been taken seriously and they have often been given the worst pitches to train on at the worst times and in the worst places. In spite of that their commitment and drive has never wavered. Yesterday perhaps gave a glimpse into the future. Women’s football is often described as the fastest growing sport in the world. It is time Hong Kong capitalized on this demand and interest. Thank you to everyone who has contributed to women’s football development and thank you in particular to those involved yesterday. You gave me memories that will stay with me forever. It was an amazing performance. It looks like it might go down to the wire! Rivalry is a great thing in sport. Think Liverpool v Manchester United, Barcelona v Real Madrid, Borg v McEnroe, Prost v Senna, Coe v Ovett, Ali v Foreman, Fischer v Spassky etc etc, the list is endless. The point is, rivalry makes sport much more thrilling and exciting. No-one wants to see one team totally dominant like Celtic; currently 27 points clear at the top of the current Scottish Premiership. 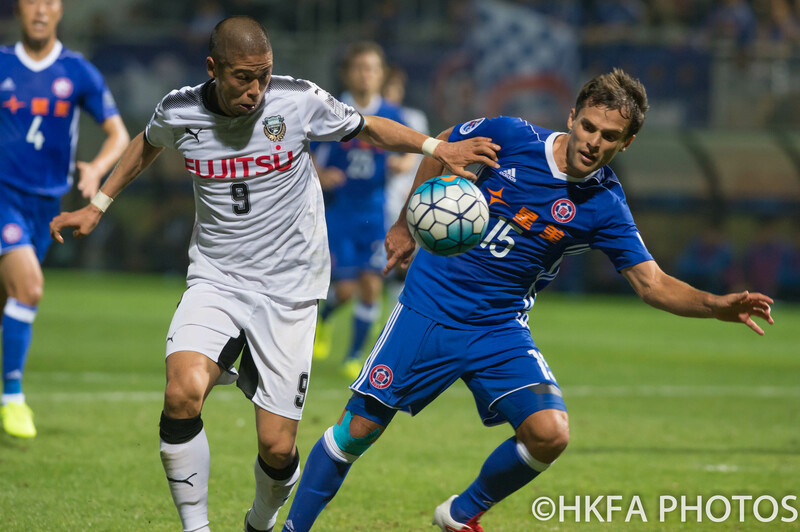 The emerging sporting rivalry between Eastern and Kitchee is becoming more acute and therefore more intriguing and compelling. 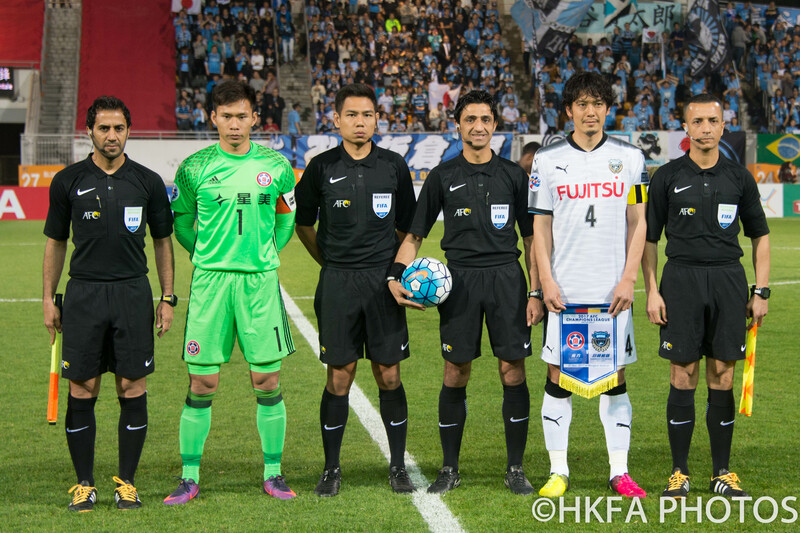 Earlier this season Kitchee gained some bragging rights by beating Eastern in the final of the HK Senior Shield. A lively crowd of over 6,200 reflected the intensity and increasing significance of the match-up. At the time of writing, things are close at the top of the 2016/17 BOC Life Hong Kong Premier League, very close in fact. Eastern are 6 points ahead but Kitchee has a game in hand and arguably the easier run in. I think it could go down to the wire and by that I mean the very last game of the season on 6th May. They are playing each other in that match and it is a mouth-watering prospect – potentially a winner takes all scenario. Being crowned Champions and picking up the winners cheque together with getting one over on a close rival is prize enough, but this year there is even more at stake. The winner of the 2016/17 BOC Life HKPL will in all probability gain an automatic entry into the group stage of the 2018 AFC Champions League (subject to our AFC ranking when places are allocated). Ironically, Eastern’s participation in the CL group stage this season makes their domestic title aspirations a little more difficult because the CL games come thick and fast. As we have seen already they are physically and mentally draining encounters. 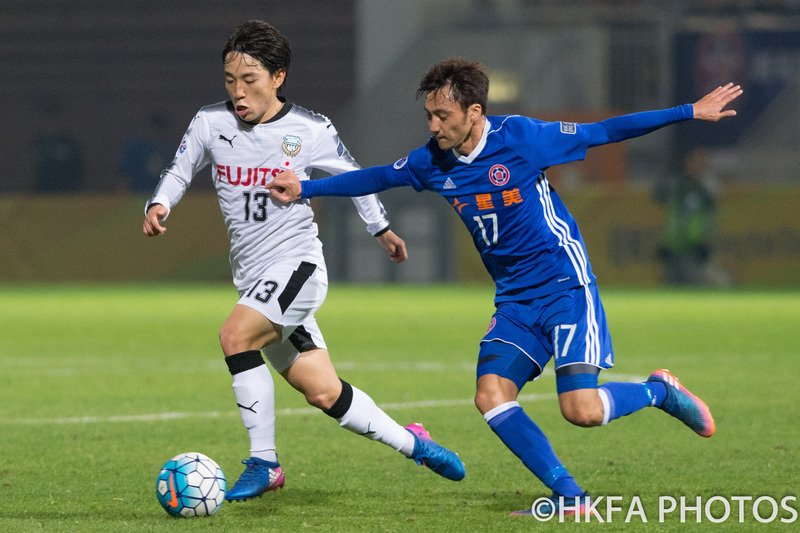 Playing more often at a higher level can only be good for Hong Kong football in the long term but will this make the difference in this season’s title run in? Only time will tell. I would not like to bet on the outcome of the 2016/17 BOC Life HKPL right now and there are bound to be twists and turns in fortune between now and the end of the season. As far as I am concerned the rivalry between these two top teams can only be good for Hong Kong football. May the best team win! I am proud that a team from Hong Kong is playing in the group stage of the AFC Champions League. Also let’s not forget that we almost had two teams competing, following Kitchee’s brave performance in the qualification phase. Playing at this level marks real progress and is a stepping stone to where we want to be (one of the top countries in East Asia) but make no mistake the step up in terms of quality and intensity of football is huge. The difference between the HKPL/AFC Cup level and the AFC CL is a gulf. This was exemplified perfectly by Eastern’s recent baptism of fire against Guangzhou Evergrande away from home. As I sat in the stand watching as the players walked out before the match, the adrenaline was flowing, I wondered what it must be like to play in front of 38,000 people and in such a hostile atmosphere. I was joyful and hopeful at the thought of a Hong Kong team competing at that level but also fearful for what could lie ahead. After all, Eastern were up against a team reputedly worth US$400m, who are serial winners of the CSL, have a World Cup winning Coach and are previous winners of the competition. David v Goliath was a much more evenly matched contest by comparison. Almost immediately after the kickoff my fear turned to dread. Seldom have I seen a dream unravel so quickly. From where I was sat the sending off was harsh but it became apparent that it was going to be a long hard night. I was just thinking that things couldn’t get any worse when the second player was sent off for a second bookable offence. The game was effectively over and ‘damage limitation’ became the only viable game plan. Symbolically it then started raining heavily and because I wasn’t under cover I got soaked. I refused to let my mood become as black as the sky because I kept reminding myself that a team from Hong Kong was out there on the pitch competing at the highest level in Asia. I felt warm inside. 9 v 11 was never going to be easy especially when playing against better players who are on a HK$3m bonus per goal! (Ultimately the bonus pot was larger than Eastern’s budget for the whole season). I think the team did well to keep the score down to 7-0 with the goalkeeper again making some great saves, including one from the penalty spot. He was arguably the ‘man of the match’. What impressed me most was the attitude of the coach and players in defeat. That is the true mark of quality. Their heads were held high and they vowed to use it as a learning experience. Last night playing at home to Mong Kok against Kawasaki Frontale provided evidence of this good team spirit and also that Hong Kong clubs deserve their place in this competition. Eastern created a chance in the first 30 seconds and came out confident, positive and fast. The capacity crowd made the hairs stand up on the back of my neck. This is what it’s all about! Passion, noise, intensity – I love it and so do the people of Hong Kong. Champions League football was one of my goals when I came here and collectively we have achieved it. Eastern played well and to their credit rather than being traumatized by their experience in Guangzhou, they seemed galvanized and determined. The reality is they could have won. Granted they had a man advantage for most of the match but let’s not forget that the team from Japan have much more experience and are arguably man for man better players – for now. What impressed me most was that immediately after the game I went to congratulate the coach on gaining the first ever point for a Hong Kong team in the Champions League. She looked at me and said ‘We should have had three’. Great attitude and it augurs well for the future. There will be more tough nights ahead in this campaign and hopefully in future competitions too. There is truth in the old adage ‘what doesn’t kill you makes you stronger’ or to put it another way…no pain, no gain.